Concrete batching plant can be classified into engineering concrete batching plant. Engineering concrete batching plant contains HZS25 / 35 / 50 / 70, because these types of concrete mixing plant occupy a small area, are convenient to relocate, need less investment funds and are suitable for the supply of engineering construction. Commercial concrete mixing plant includes HZS60 / 90 / 120 / 180 / 240 and it is because those kinds of concrete mixing plant have large production and short production schedule, and meet the concrete demand of urban architecture. 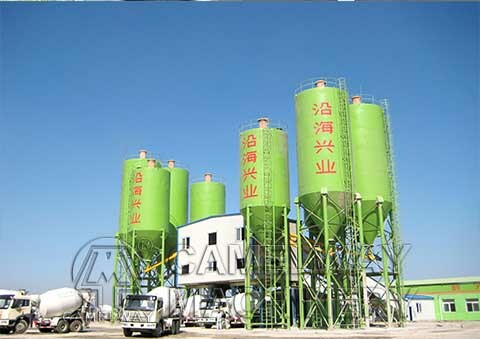 Zhengzhou CamelWay Machinery manufacture also produces tower cranes, construction elevators, concrete mixing stations, JS concrete mixers, concrete batching machines, stabilized soil mixing stations, wheel loaders, concrete transport tanks, JZC concrete mixers and other construction machinery. The company has an extensive user base in the country, enjoying a high popularity. Some products are exported to Vietnam, Laos, Kazakhstan, Mongolia, Russia, Cuba, Brazil and other countries, being highly praised by foreign friends.For more information about any of our products, please feel free to contact us or at the contact addresses available on this website.